With all the hustle and bustle of the Telerik Q1 release, I forgot to plug my free half-day Silverlight 2.0 training that's happening today at the Microsoft offices in Houston! This four-hour training will cover everything from 101 to 301 and it will be a mix of presentation and hands-on labs (that I've created specifically for this training). 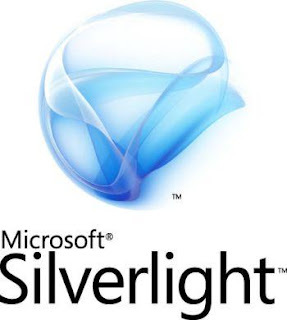 The goal is to enable people that have never worked with Silverlight to learn everything they need to know to feel comfortable building "real" applications for themselves with Silverlight 2.0 (3.0 is off-limits for this training). The training will start at 1:00 PM local time and run 'til about 5:00 PM. The official title of this session is ".NET Dojo: Silverlight"- not my title, but it works, especially with the Telerik .NET Ninja motif. If you want to attend, you'll need to register, which you can still do online through Microsoft: http://msevents.microsoft.com/CUI/EventDetail.aspx?EventID=1032405198&Culture=en-US I will be repeating this training in Austin on April 2nd, so if you're in the Austin area, watch for that registration soon. Otherwise, for those of you in driving distance to Houston, I hope to see you in a few hours at the training! @Bill- Thanks for coming! I'm about to post the HOLs as a PDF and I'll post the slides soon, too. Watch for a new post in a few minutes. Button x:Name=:btnSave" Content="Share It" Width="100"
in your text should have a Navigate Event so you need to add in Click="btnSave_Click" into the definition and that will allow access to the behind code event. @Gerry- Thanks for the proof-reading! I'll update the PDF soon. Glad you otherwise enjoyed the resource. However on running it I get to the point where entering the text and I get the pop-up to say "Your text could not be saved" - changed it a bit from your "Snaap"